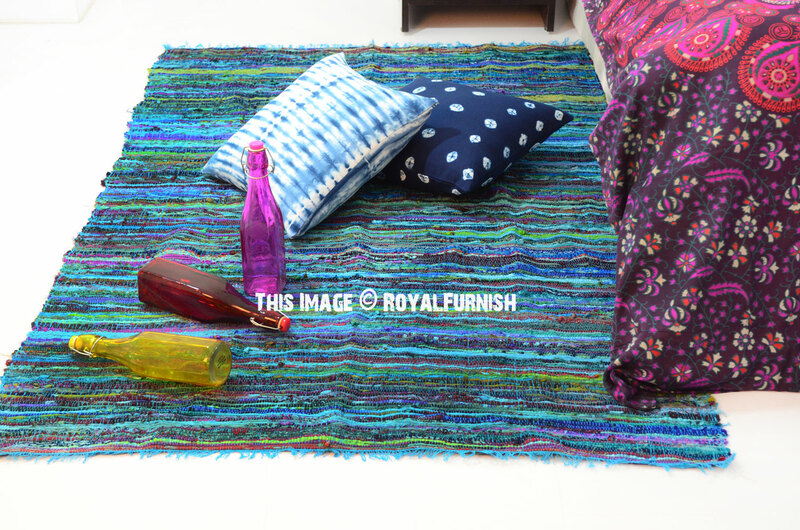 Give bare floors a quick & easy makeover with chindi rag rug. 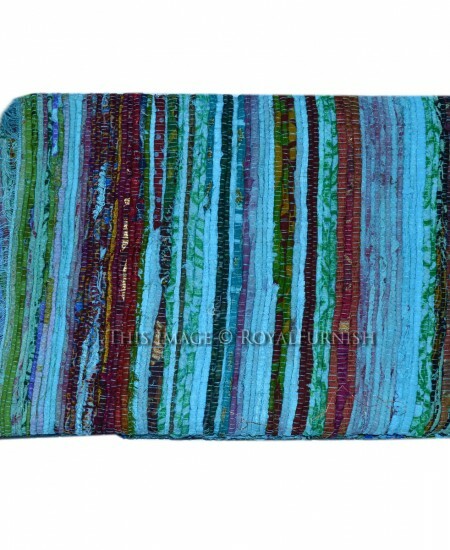 It is made of recycled old fabric which is loomed by weaver in India. 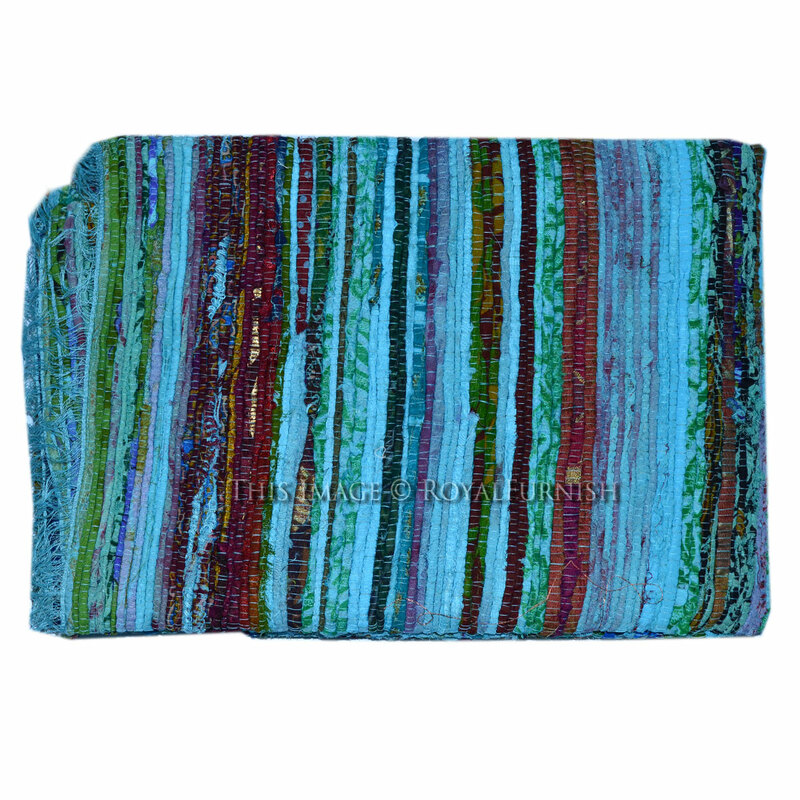 It comes into multiple colors striped design due to multicolour recycled fabrics. 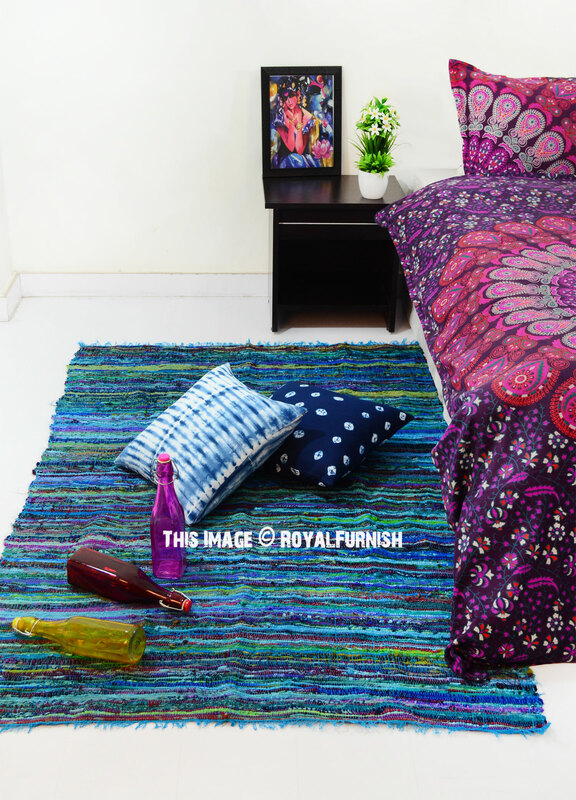 It will set the tone, color scheme and comfort to your living space or bedroom. 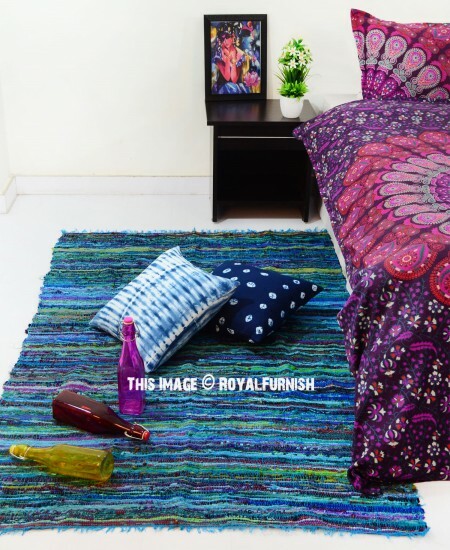 Each chindi rug is unique in itself due to multiple fabric used to make it. 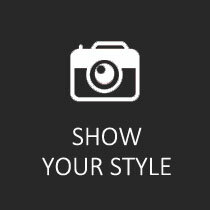 Note: Since recycled fabric cuts are used, no two rugs will look similar, the picture shown is representative but not precise as each rug is unique. 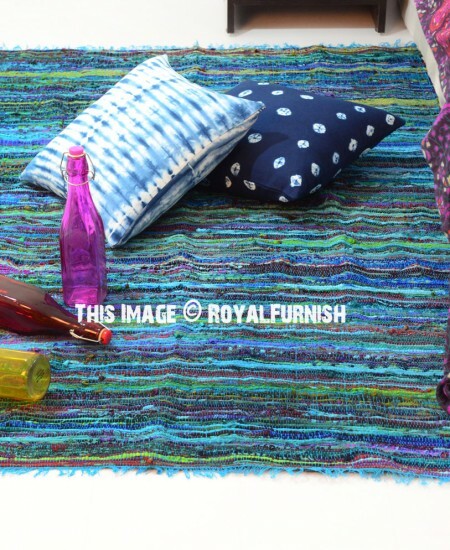 Since recycled fabric cuts are used, no two rugs will look similar, the picture shown is representative but not precise as each rug is unique. Blue Colorful Striped Patterned Cotton Chindi Jaipur Rugs 3.6'X6.5' ft. Colorful Chindi Rag Rug 3.6"X6.5" Ft.
Multi Hand Woven Striped Pattern Jaipur Chindi Rugs 3'X6' ft.
Yellow Theme Striped Hand Woven Cotton Chindi Rag Rugs 3.6'X6.5' ft. Beige Multi Recycled Rajasthani Hand Woven Cotton Chindi Rag Rug, 3'X6' Ft.
3.6" X 6.5" ft. Turquoise Recycled Fabric Cotton Chindi Rag Rug added to the cart!